It’s been a hot minute since I brought one of my old recipes out the archives and into the spotlight. I couldn’t let these Quinoa Peanut Butter Snack Balls be buried any longer. You need this healthy snack recipe in your life. You only need five simple ingredients that you probably have hanging out in your pantry and these come together in a snap. 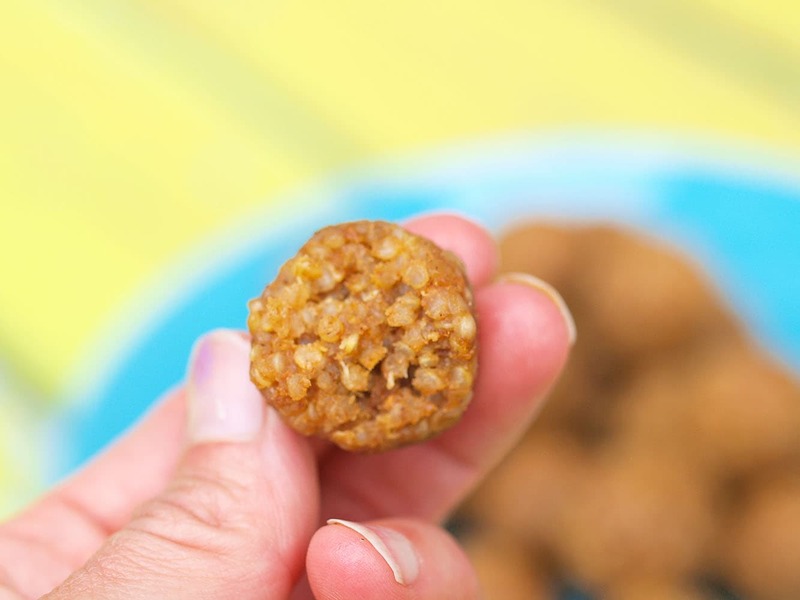 Quinoa is the base of these little snack balls, giving them a great protein boost. Each ball is just 36 calories with almost 1.5 grams of protein and less than 1 gram of sugar. These are a naturally gluten-free and vegan snack. If you need them to be nut-free, substitute sunflower seed butter or soy butter for the peanut butter. They are very lightly sweet with a strong peanut butter flavor. I added some blackstrap molasses for a nutritional boost, but it’s optional so if you don’t have it, go ahead and make these without it. These are perfect for back-to-school snacks. You can add them to your child’s lunch or save them for after school snacking. I hope you love them! 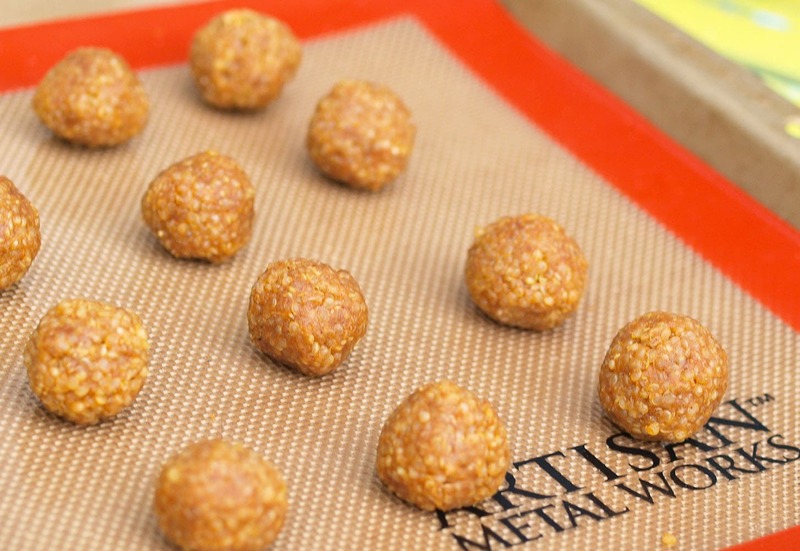 Quinoa is the star of these naturally gluten-free and vegan snack balls. They boast almost 1.5 grams of protein with only 36 calories each and less than 1 gram of sugar. In a small saucepan, combine the quinoa and water. Bring it to a boil, stir once, and cover the pot. Reduce the heat a bit and allow to simmer until all the water is absorbed, about 10-15 minutes. Once the quinoa is cooked, allow it to cool a bit. Add the rest of the ingredients and stir well. Form the mixture into 1″ balls and place them onto a tray or plate. Place them in the freezer for about 30 minutes to firm. Keep stored in the refrigerator. Enjoy! I’ve been loving quinoa for baking lately. This looks delicious and easy to make. And even better it’s gluten free so I don’t have to tweak the recipe. Thanks! Do you happen to know how many carbs are in each? Can I use puffed quinoa to make this? I have never tried that, but it could be amazing!! You may have to increase the peanut butter some. Hi. Do you know how many calories? Can you use sunflower peanut butter? Could I add protein powder to this recipe to amp up the protein? I have leftover quinoa mixed with leftover brown rice. .do you think i could get away with using that mixture? ?? I do think it would work great! Please let me know if you try it. These look so great! I have a question though about the blackstrap molasses. I live in Germany, where molasses is really hard to find. Do you think I could substitute it with anything else? Thanks so much! You can simply leave it out and they will be fine. I’ve actually forgotten it a few times and we don’t notice. This sounds wonderful. We don’t have any children at home any longer, so I was wondering how many 1 inch balls this recipe will make? How long can these be stored in the refrigerator? Do I need to keep some of them in the freezer in a sealed container to keep them fresh? Thank you very much. Please disregard my previous comment. I see at the beginning of the recipe it says this makes 20. I should have read this more carefully. 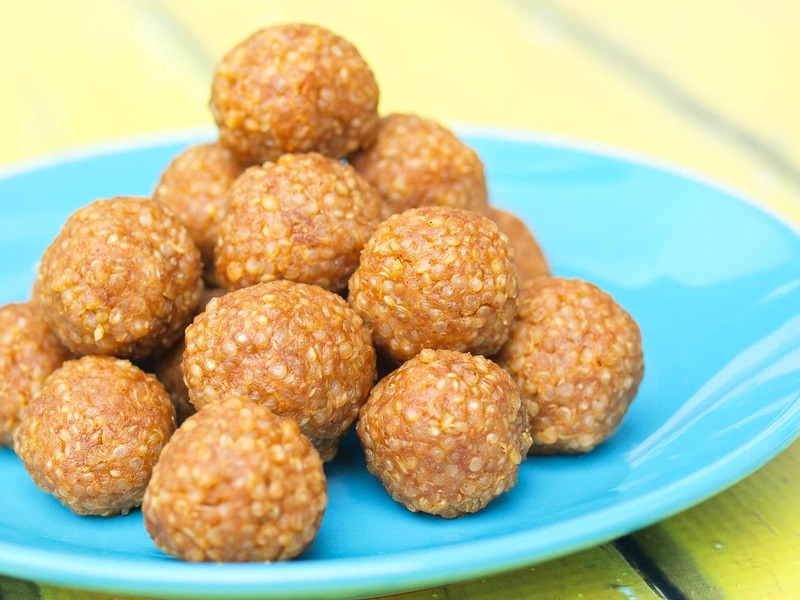 When a Pin for this popped up in my inbox & I thought these were good old sesame/ peanut balls(laddu) that are so famous in India! 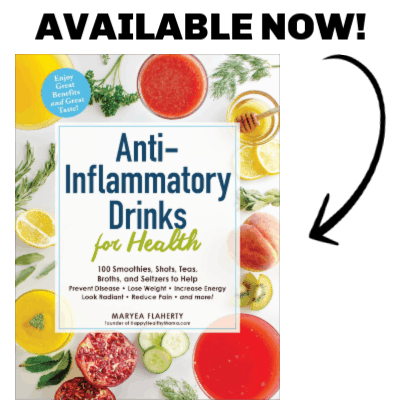 Can’t wait to try these healthy goodies! I’ve never added quinoa to a nut or ball recipe. I need to try it! If I make them on a Sunday will they be good on Tuesday? These look so easy to make yet so delicious! I have some left over quinoa (cooked) How much do I use in this recipe? Same question here….I have cooked quinoa already, is it 1 cup cooked quinoa needed for the recipe? You’ll actually need closer to 1 1/2 cups of cooked quinoa. You’ll need approximately 1 1/2 cups of cooked quinoa. Sorry for the late reply–this comment got buried and I missed it somehow! Just wondering if they freeze well? I like to make big batches and freeze for easy snacking and lunches. I’m sorry I haven’t tried freezing these. Is there anything you can use instead of syrup? I’m thinking go using agave instead of the syrup & molasses.do u think it would work as well? Yes, I think that should work fine. These were not what I expected.. gross! I’m really sorry they weren’t what you expected. I followed recipe to the letter and balls would not stick together well, also have very little flavor. I thought of freezing and dipping in chocolate. what do you think.? I’m really sorry to hear this. Freezing and dipping in chocolate definitely sounds like a lovely solution to what you didn’t like. I’m wondering if these could be made with date paste as the sweetener instead of the syrup and molasses? I’m always looking for no-sugar/naturally sweetened snack recipes. Either way, I will be making these! Yes, I do think date paste would work. Good luck! What a FABULOUS snack before dinner!